The Marshall Recreation Center offers specialized Group Fitness classes (free with membership) and Premium Fitness classes available for members and non-members alike. Download a printable version of the Spring 2019 Fitness Schedule! Download the printable version of the Summer 2019 Fitness Schedule! Get a full body workout all on the water! This class is a low-impact, high intensity, cross training workout performed on an inflatable SUP board. Merging breath and movement to strengthen the body and mind. A yoga Flow performed on an inflatable SUP board in the water. Join this high-energy martial arts-inspired workout that is totally non-contact. Punch and kick your way to fitness. No experience needed. Learn moves from Karate, Taekwondo, Boxing, Muay Thai, Capoeira and Kung Fu. F45 Training combines elements of High-Intensity Interval Training (HIIT), Circuit Training, and Functional Training. The fusion of these three training concepts has lead to the development of 27 different, 45 minute workout experiences, with more in development by our F45 Athletics Department. This combination of interval, cardiovascular and strength training has been proven to be the most effective workout method for burning fat and building lean muscle. To ensure a safe and comfortable experience for all participants, entry to classes will not be permitted later than 5 minutes past the class start time. Watch our F45 at Marshall Campus Rec video on YouTube. This class is 45 minutes of hills, flats, sprints and everything in between! A challenging class driven by incredible playlists and motivating instructors. Get ready to sweat, work hard and have fun! This class will help you build cardiovascular endurance and strengthen your heart muscle all while dancing to motivating and energetic music. Join us and work up a sweat on the dance floor! 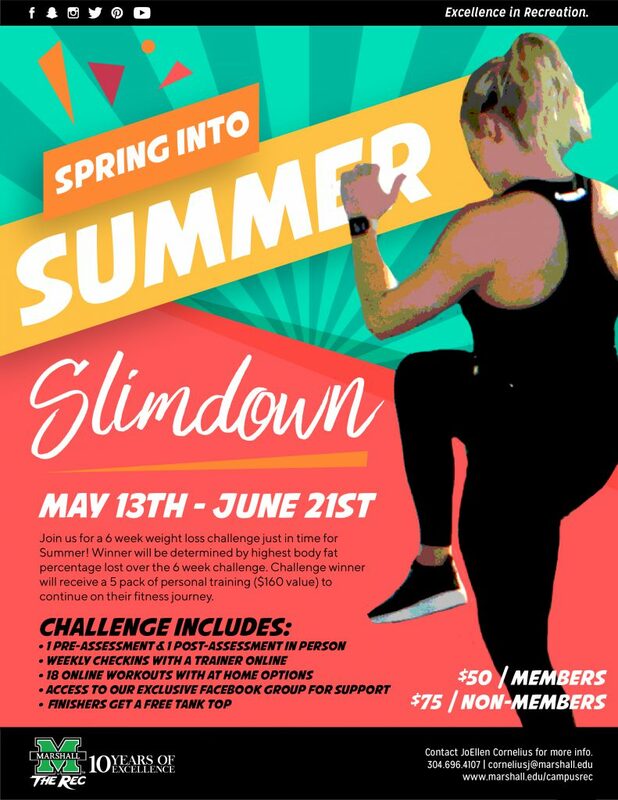 Join us for 20 min of easy to follow low-impact aerobics, followed by 20 min of endurance based strength training. This low impact, high volume class will help improve activities of daily living and increase balance and flexibility. With the use of stability balls, dumbbells, and more this class will always feel new and interesting. To ensure a safe and comfortable experience for all participants, entry to classes will not be permitted later than 5 minutes past the class start time. “FUN AND EASY TO DO.” The routines feature aerobic/fitness interval training with a combination of fast and slow rhythms that tone and sculpt the body. We offer Classic, Circuit, Stability, and Splash all meant to improve range of motion, muscle strength, and activities of daily living. Chair Yoga is one of the gentlest forms of yoga. You will practice yoga sitting in a chair or standing using the chair for support throughout each flow. Yoga Flow focuses on linking conscious breath with a vigorous and mindful Flow. You will build strength, Flexibility and concentration while cleansing the body and calming the mind. Cross training Under Thirty is an all-out circuit style workout that focuses on a particular muscle group each class. 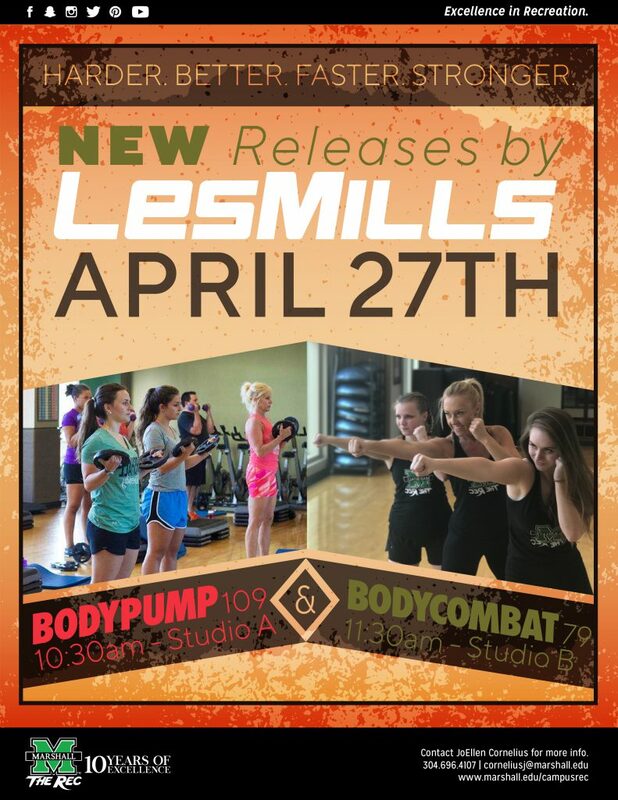 Get lean, build strength and tone muscle with BODYPUMP, a group-based barbell class to work all your major muscle groups. Focusing on low weight loads and high repetition movements, you’ll burn fat, gain strength and quickly produce lean body muscle conditioning. Join us for a combination of TRX Strength and Cardio exercises. Build overall strength, balance and Flexibility with this total-body conditioning program.